After having saved $1100 at Cadet School, I was keen to get myself some wheels and over the Christmas break I looked at a couple of cars but dad (the motor mechanic) talked me out of them. 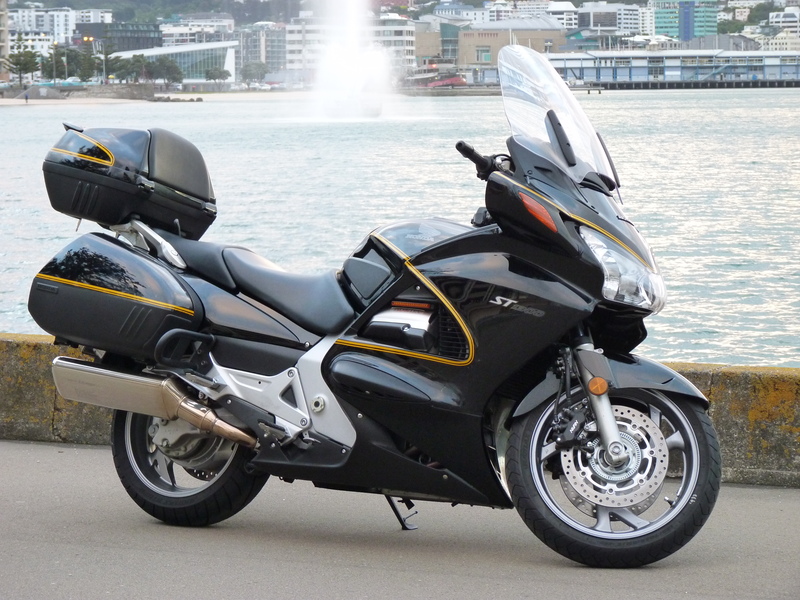 Consequently, I got to Wigram and the money burned a hole in my pocket so I soon had a flash (for the time) stereo, then just enough for a deposit on a Motorbike. My mate Stan had brought himself a Honda XL250 Trailbike, so after him extolling their virtues, I spotted one at Casbolts and brought it on tick, with another chap who I hardly knew going guarantor on the loan. (Such was our naivety and the trust we had in each other). Whilst living out on Parewanui Rd early in 1975, I brought a box of bits from Maggy Magnusson for $500. The contents of the box was a 1966 Triumph 650 Saint, which was a twin cylinder, single carb motor bike which had been stripped to recondition and chopperised. (ie it had extended forks). It was an ex cop bike and I couldn’t tell the difference between the Saint and Thunderbird models, but I had as much fun putting it together as I did riding it later. out at Taikatahuna (Sth of Palm Nth). It was cheaper to buy 60 thou’ oversize pistons, resleeve the barrels, then bore them out, so that’s what I did. I also brought replacement BSA standard forks, a new petrol tank and a few other things, did a complete rewire, used RTV (Room Temperature Vulcanising) sealant on all the joint surfaces without any gaskets except for the copper head-gasket and so it all started coming together. I just bought this bike as a commuter to get me between home in Mairehau and work at Wigram, but I ended up pranging it and rupturing my L4/5 disc in my back. That was a bit of a life changing experience. For my return to biking I found this bike ticked all the boxes. I wanted an upright position, the price was right and I liked the look of the cruiser without it being too bulky ...and it had reasonable ground clearance and handling, for a cruiser! It was great for club rides but the problems were: uncomfortable for two-up touring, lack of luggage/storage and once I discovered distance riding, the teeny tank just didn't cut it! 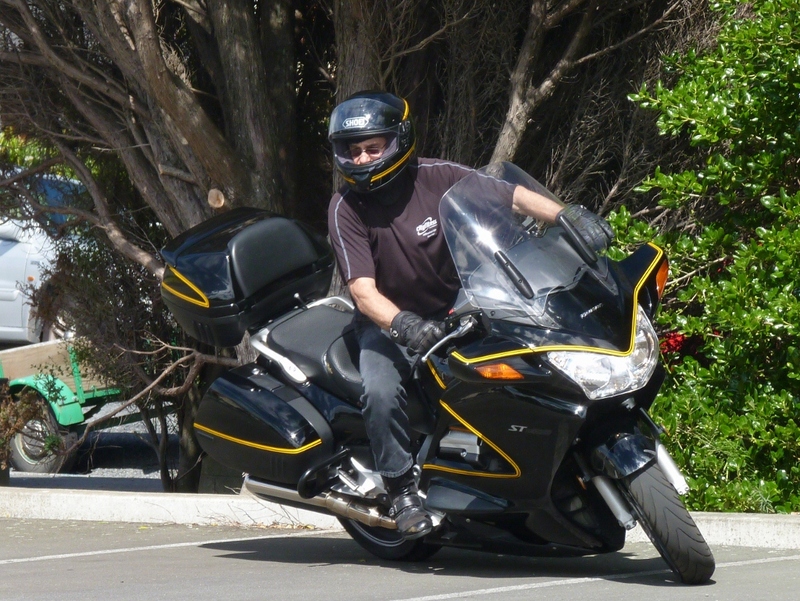 2007 ST1300 - bought new from Cyclespot, did 127,000Km until sold in Jan 2012. 2011 ST1300 - bought 2nd hand in October 2011 with 2,500Km on it and written off after encountering black-ice at the Makatote Viaduct in May 2012 with 13,500Km on it. 2010 ST1300 - Current ride bought 2nd hand in October 2012 with 20,000Km on it. Purchased with Rider Seat, Radguard and Daytona heated grips. Added pinstriping, scuff stuff, topbox with hi-stop light (from 2011 model), power outlets, GPS cradle and Nitron rear shock plus reworked front.